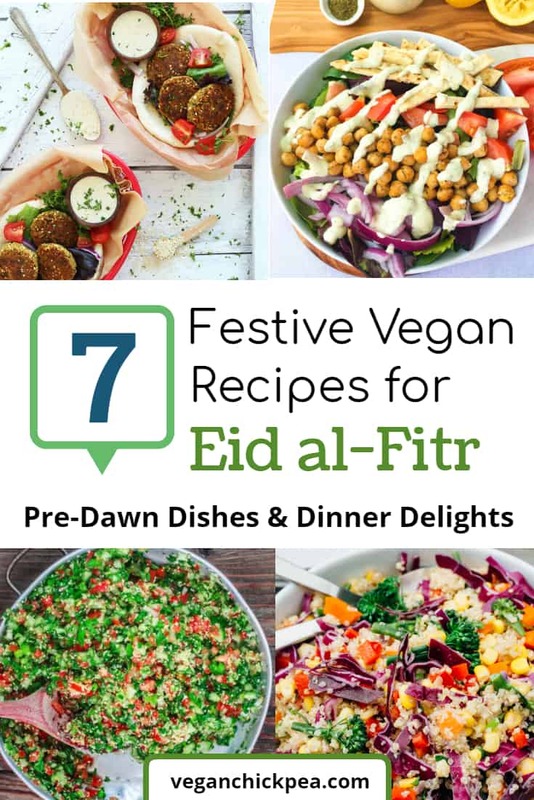 Celebrate the end of Ramadan with these vegan mouth-watering dishes from different culinary influences that will guarantee an extraordinary Eid al-Fitr feast. Eid al-Fitr marks the end of Ramadan, a holy month of fasting. It is usually celebrated with a festive banquet featuring amazing appetizers and delicious main courses. This vegan round-up will ensure you that there will be no shortage of dishes to enjoy with your family and friends. 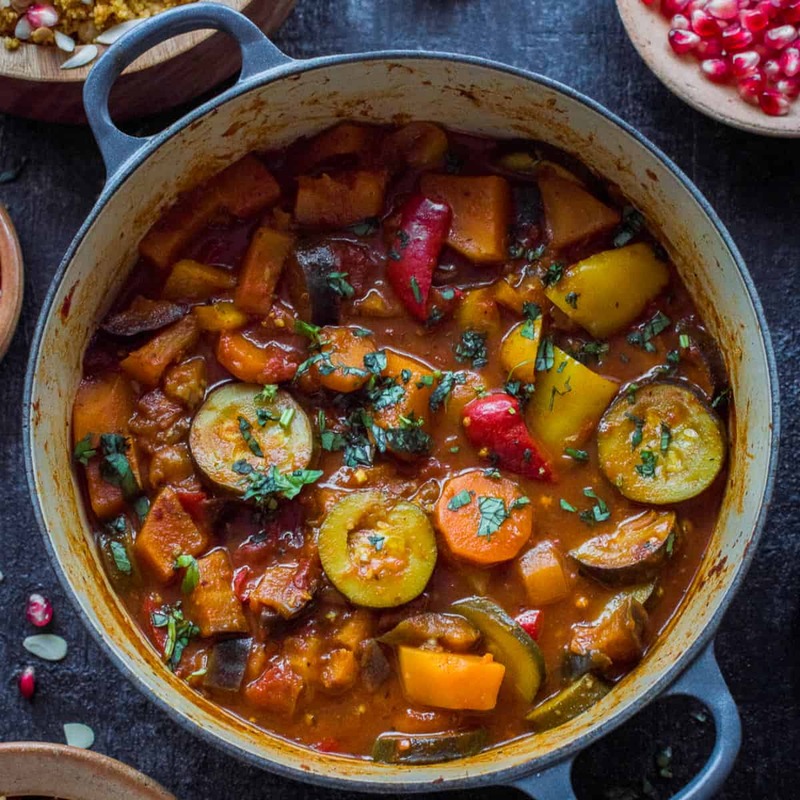 These festive vegan recipes will surely make your celebration a memorable one! Let’s start light with these pre-dawn dishes: a generous mix of salads and chickpea dishes that are both delicious and healthy. This colorful dish tastes as good as it looks! 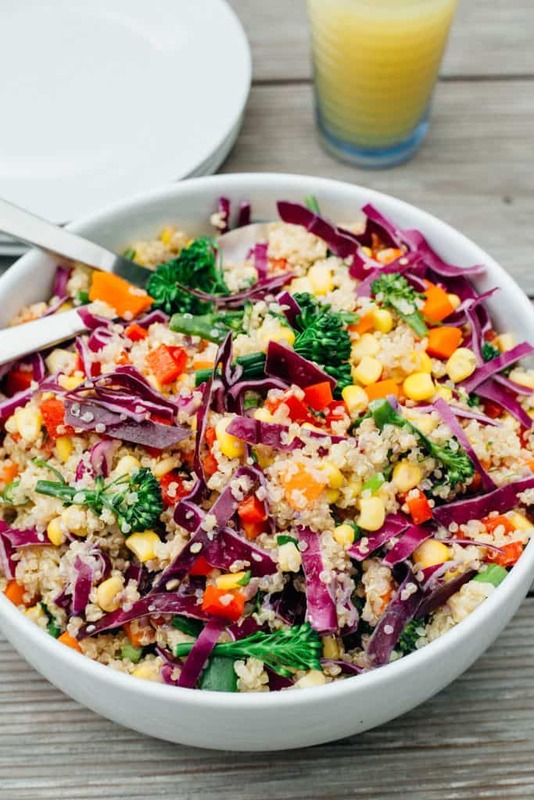 Feast your eyes and tastebuds on crunchy vegetables and nourishing quinoa drizzled with tahini ginger dressing. It’s gluten-free, 100% vegan, and bursting with flavor! But don’t take my word for it… try it yourself! Get the full recipe here. Inspired by a classic Greek gyro, this salad is packed with all the protein you need! 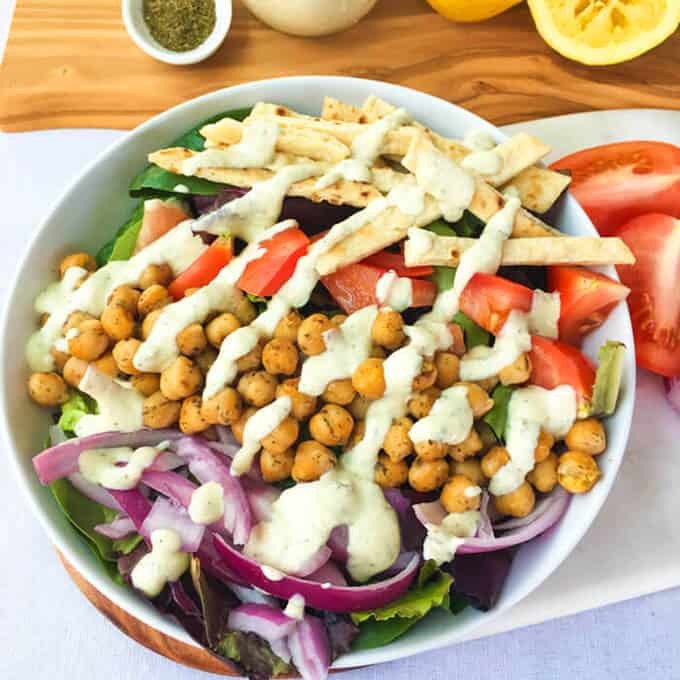 Sautéed chickpeas, Greek spices, tomatoes and red onions are tossed in a tangy, creamy vegan tzatziki sauce. Here’s the recipe for you to enjoy firsthand! 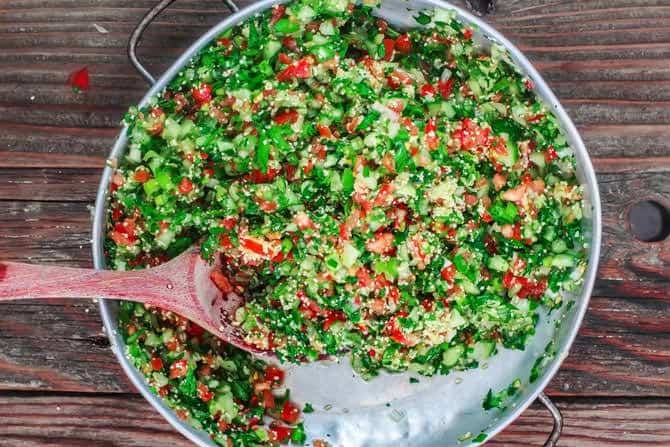 The true star in a tabouli recipe is finely chopped parsley. This dish is light and balanced but with a bit of spice to keep your palate wanting for more. Pin this recipe as your entrée salad dish and start your Eid al-Fitr feast super fresh. Grab the complete recipe here. After a full set of refreshing dishes, it’s time for the main event. Don’t be fooled by the simple ingredients. These classic dishes are absolutely delicious! 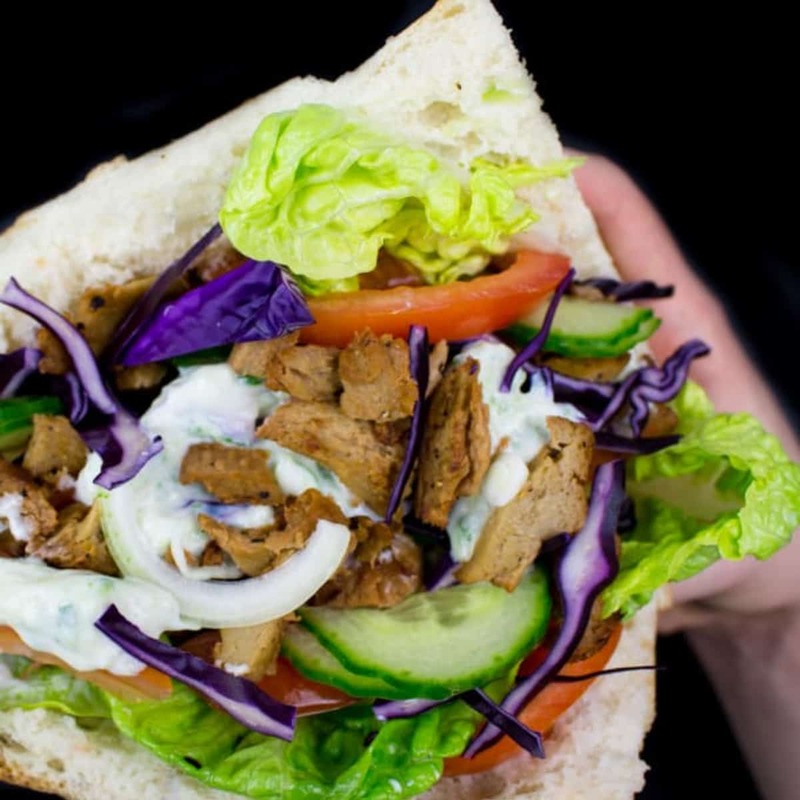 Some say that “chickpea shawarma” isn’t a real thing. I often prove them wrong by serving this awesome masterpiece. 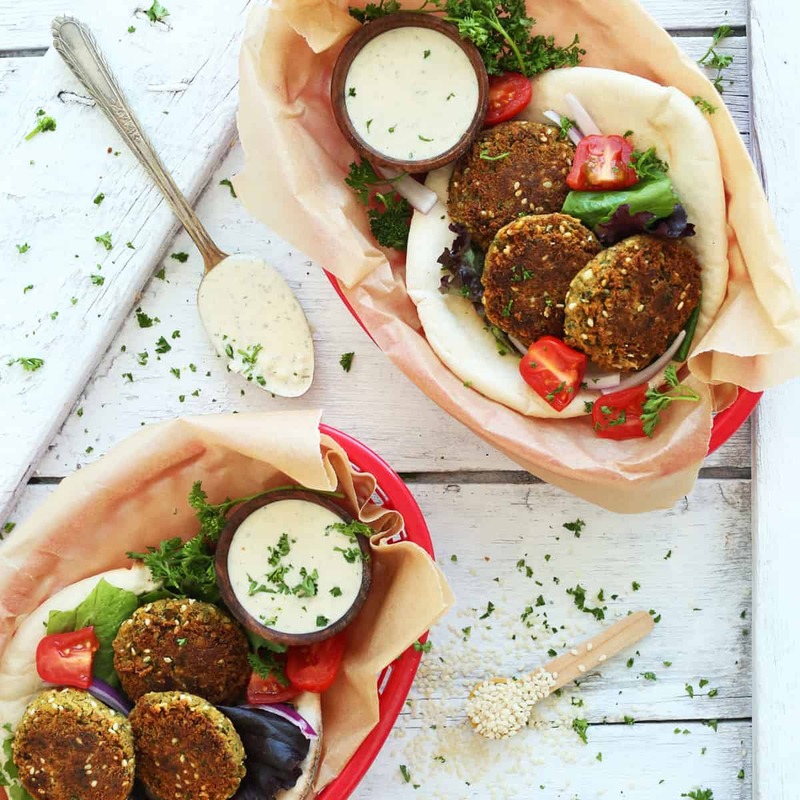 Just substitute the pita or flatbread with gluten-free versions and you’re good to go. Get the recipe here! This rich vegetable soup is slightly sweet and a refreshing change from your usual salty stew. Recreate this recipe here. Filled with special ingredients and spices, this classic Middle Eastern dish is perfect for breaking a long fast. Get the recipe here. Mujadarra is the“star of the show” in a lot of Mediterranean feasts, and no wonder. 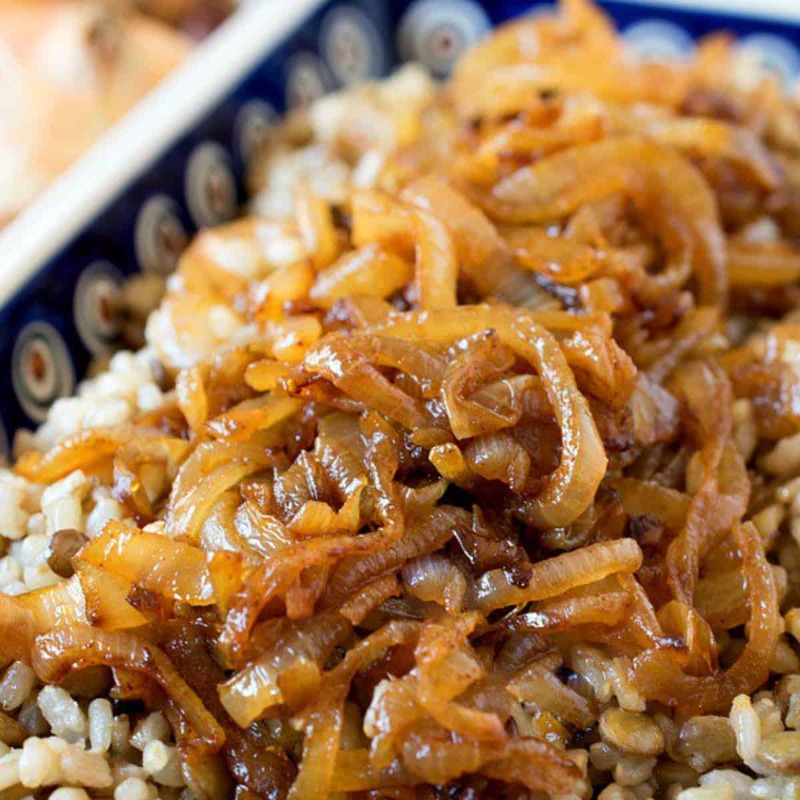 This satisfying dish is made from lentils and brown rice that are smothered in caramelized seasoned onions. It’s hearty enough to be a meal all on its own. Follow through the full recipe here. 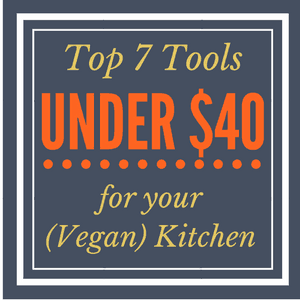 Remember: you don’t need a special celebration to prepare these vegan dishes. Excited for more vegan goodness? Click here for scrumptious recipes!